The most unique live animal show anywhere. A whirlwind ride through at least a dozen different snakes from around the world, masterfully interwoven with high-quality comedy and magic to create an experience that is deeply educational - but the audience has too much fun to notice. Specializing in The Truly Petrified, with a perfect 20-year safety record. 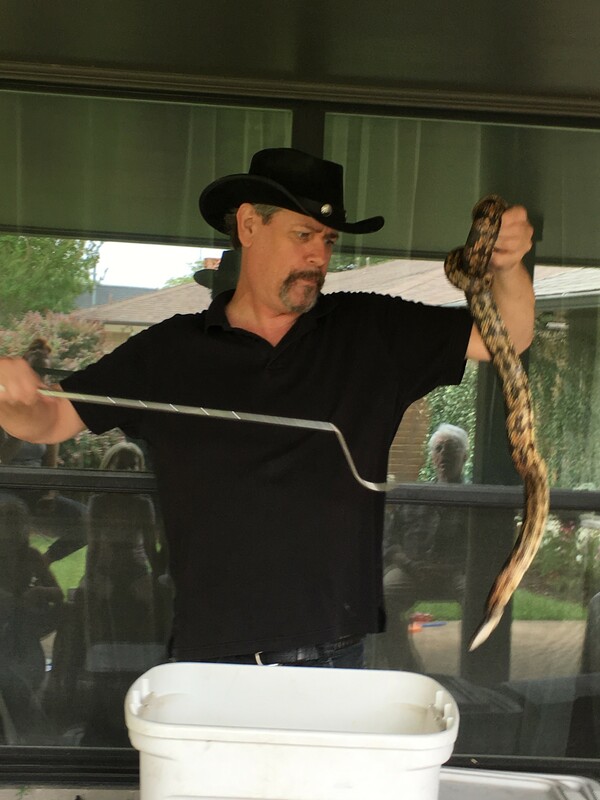 Daryl Sprout, the World's Only Prestidigitating Herpetological Humorist, is also Senior Field Herpetologist for Snake Removal, Inc., a nationwide company specializing in snake problems. Seen at science museums, fairs, festivals and corporate events across the country. Highly remcommend! So great!! Our group loved his show. Ages from 5-70 years all had a wonderful time. My sides hurt from laughing so much! Thanks so much Allison! That was SUCH a fun party! 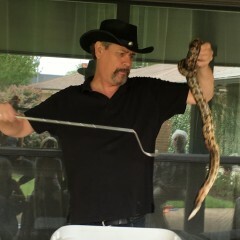 Thanks so much, Snake Encounter! Great kid, fun friends, lovely home, awesome party. Thanks, Lauren! Darrell did an amazing job entertaining the whole crowd - kids and adults alike! He is funny and engaging, and his collection. Of 'friends' are awesome! We highly recommend his show for anyone looking to make their party the talk of the season! 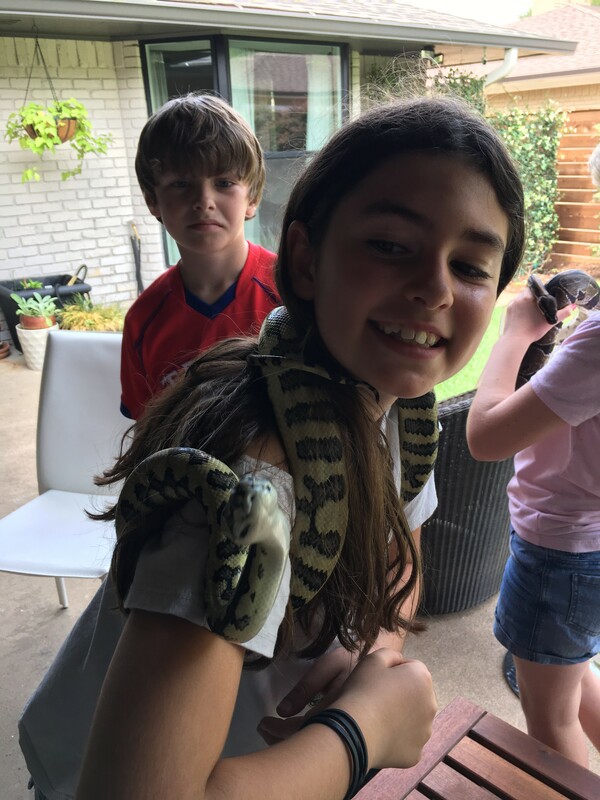 I booked a snake party for my son's birthday. We had about 25 guests - 6 and 7 year olds. Party was a hit!!! So much so that parents were asking for referrals. Thanks for making my son's party SO special!!!!! Thanks, Veronica! It was great helping to make your party unforgettable - and it was nice of the Dallas Cowboys to join in! All the best! Daryl was professional and very personable. We booked him for a birthday party for my son. Our guests all thought it was awesome! Definitely recommend! Thanks so much Carrie! Great crowd, amazing house, fun party - and pics of your decorations and that cake are now part of my treasured collection. You nailed it! My 5 year old wanted a reptile party and Mr. Sprout did not disappoint! The children as well as the adults were actively engaged! Everyone had a great time! Thanks so much Megan! I do lots of parties and my goal of making them an unforgettable experience never wavers, but it's rare that one is so unforgettable for me. The snake on the zipline experiment rocked! Will's a great kid and I was honored to be a part of his big day. What a great show. We had kids of all ages and they loved the show. Just the right amount of fun, education and animal handling. They arrived when they were supposed and everything went off without a hitch. It made for some GREAT Facebook photos. Thanks so much for the review Stephanie! Great bunch of kids and a very fun show to do. He was great and kept 150 children ages 4-13 occupied and entertained the entire time! Spell-binding! My daughter asked for a reptile party and pink tutus. We pulled together an amazing theme and the best part was Snake Encounters. He had my five year old and her friends eating out of his hands. Every parent shared that their kids all want this party and that it was the best party. Thank you. Thank you. It was my pleasure Jaimie. Great bunch of kids and your daughter is a treasure. Thanks for the review! Got Darryl for my husband's 50th birthday party. Very professional. 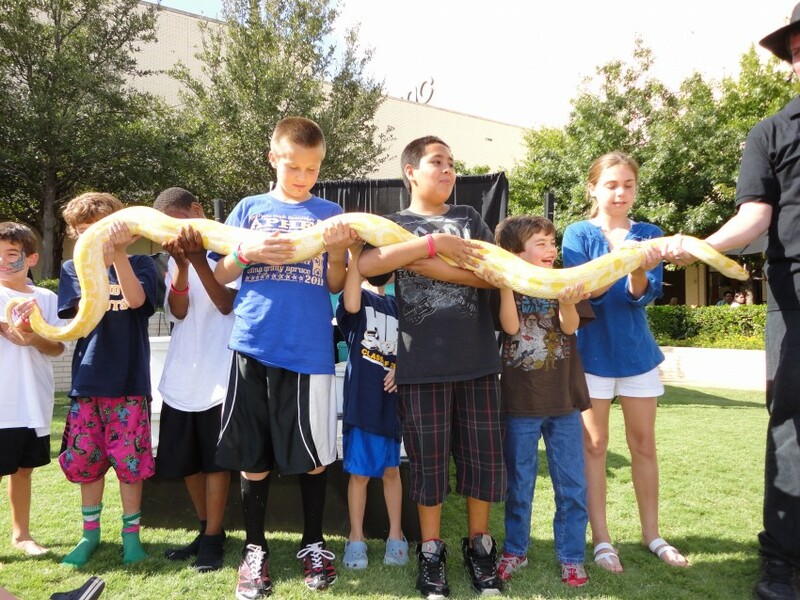 Great with the kids, highly entertaining for the adults and more educational than many of the other "educational" reptile shows I've seen. We loved that we could actually hold and enjoy the reptiles after the show. Other shows just don't give you that option. 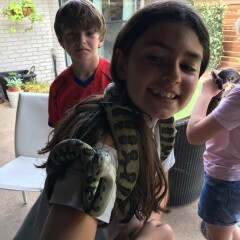 Several of our friends who came in afraid of snakes ended up holding them and loving it. Highly recommended! Thanks so much Beth! It was great fun helping to make John's birthday unforgettable. Great setting, great group - and the food was excellent! All the best to you and yours. Price Range: #- Not stated. Born in Greenville, SC, Daryl Sprout has lived in the Dallas area most of his life. Very much into dinosaurs as a kid, his first encounter with a snake was in his great-grandmother's back yard in Jackson, MS. It wrapped around his finger, and by the end of the day, around his heart. By the time he reached sixth grade, his knowledge of the topic was sufficient to generate requests for presentations to classmates. By the time he graduated high school, that had added up to quite a few snake talks. Meanwhile, Daryl's mom ran the school's theater department (his first bit part was at age six) so he grew up on and around the stage, learning acting, comedy and stagecraft. Dr. Geoffrey Stanford, Director Emeritus of the Dallas Nature Center, asked him to become the reptile guy there. Presentations for that facility led to inquiries from moms wanting the show for their kid's birthday parties - and Snake Encounters was born. At the time he owned and operated a small business called Mailroom Express in Dallas, and party shows began to become a steadily bigger percentage of his time. A friend's mother who avidly read the ENTIRE newspaper every day, including the classifieds, spotted a two line ad that read, "Field Herpetologist Needed - call 1-800..." She clipped it, glued it to an index card, and mailed it to Daryl, his only correspondence from her ever. He was hired as a Field Herpetologist and began taking Snake Removal calls, removing offending snakes, identifying and diagnosing the underlying causes of the clients' snake problems, and educating them about solution strategies and local species recognition. Today, he holds the position of Senior Field Herpetologist, and when a large commercial (or very large residential) call falls outside the range of a local field rep, he is flown wherever the need arises, which has included cases from coast to coast. The show continued to grow in popularity as Daryl's reputation for a unique approach, a dry wit and an overall entertaining presentation led to an affiliation with Animal Planet. At first Daryl was providing animals and humorous/educational material for Peter Gros, star of Mutual of Omaha's Wild Kingdom. They developed a friendship and working relationship that continues today. Later, AP booked Daryl directly providing shows for cable affiliates as a promotional reward for launching their products. 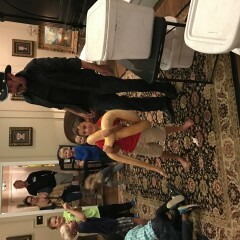 At the same gig (Houston Children's Festival) where Daryl met Peter, he also met and befriended local illusionist James Austin Banner, who later created the first stage illusion to be incorporated into the Snake Encounters show. 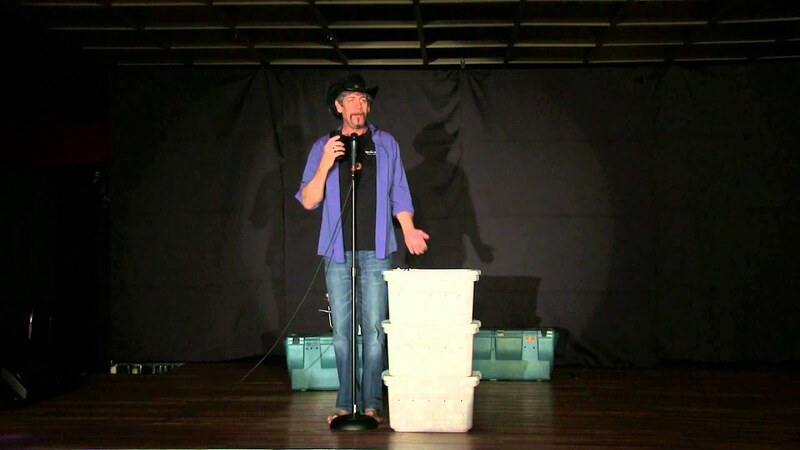 Since then, Daryl has become proficient in both stage and closeup magic, and his comedy/magic/snake show has evolved into an experience that has earned him the title of "The Worlds Only Prestidigitating Herpetological Humorist." 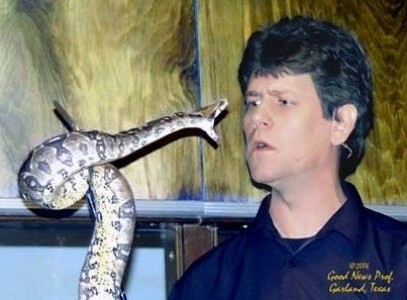 Indeed, The Las Vegas Sun said "Sprout may be the only standup comic snake handler in the world." Science and Nature Museums, fairs and festivals, corporate events and parties of all kinds who were looking for "something different" have all found this extremely unique show to be the perfect fit. Performance area must be shaded and at least 70 degrees F.
I have known Daryl Sprout since 1999 and have booked him on numerous occasions to provide animals, little-known facts, props and funny material for live presentations and television spots I have done on behalf of Mutual of OmahaÃ¢â‚¬â„¢s Wild Kingdom. His knowledge of the subject is meticulously accurate, complete with the most offbeat and interesting factoids one is ever likely to encounter. I have been able to consult with him whenever I needed herpetological information, and he has kept me abreast of new developments in that field brilliantly. His humor is infectious - and completely unique. Simply speaking with him on the phone always seems to be an entertaining, exuberant experience. He clearly knows, to the core of his being, that to impart the crucial message of the value of wildlife and our natural world, it is key that audiences are genuinely engrossed by the delivery. His is always playful, engaging and full of the unexpected. He has been on and around the stage since age six and his performance is smooth and professional, but a solid background of over 25 years of field experience lends a generous measure of credibility to everything he does. 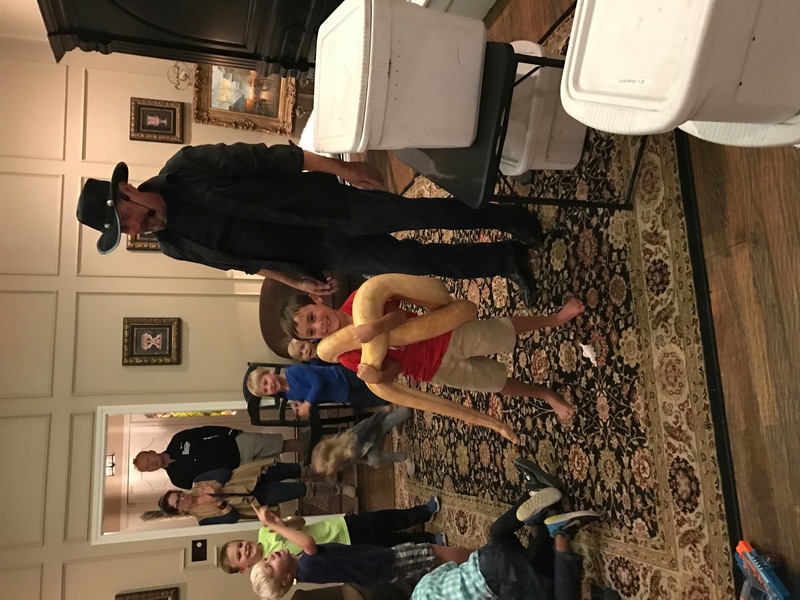 His mastery of snake handling is exceptional, and he clearly cares deeply for the comfort and safety of the animals in his care. The props, general script and specially selected animals (all DarylÃ¢â‚¬â„¢s ideas) that he provided for a spot I did on Live with Regis and Kelly called Ã¢â‚¬Å“The Snakes of Peter GrosÃ¢â‚¬Â was hilariously successful, and was nominated for a Relly Award for Best Animal Guest of 2006. HeÃ¢â‚¬â„¢s a true team player and a very quick thinker. I recommend him to anyone who wants captivated audiences to experience an unforgettable insight into the importance of our natural world.